Valentine’s day is around the corner. This holiday is about the heart and a great opportunity to get your students to show compassion to their peers, community and loved ones. Your students can reflect on the commercialism of Valentine’s Day and participate in activities to find the true meaning of the holiday. Below, find activities and free resources for getting students to learn the science, history, math, and value of Valentine’s Day, while appreciating others. 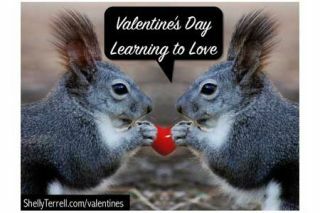 Download the slides to my recent presentation, Valentine’s Day: Activities & Resources to Love. Discover plenty of free web tools, apps, handouts and resources in my bookmarks. Enjoyed these ideas? Get your copy of The 30 Goals for Teachers and Learning to Go. Create a talking pet Valentine’s Day Card! Join the Global Virtual Valentines Project. Classrooms worldwide create digital (or virtual) Valentine’s Day greetings for each other. Teens and adults will enjoy Desmos Valentine’s Day Math-o-grams. Students learn math and send a unique message to their friends. Learn the history of Valentine’s day with this animated Youtube video. Get students to create a Valentine’s game by using Tynker’s template. Tynker has provided steps for students to easily follow to remix their code to produce their own games. Get students to watch this incredible Youtube video, Various Hearts Found in Google Earth. They can then create their own videos of heart shape objects found around the school or communities. Students can use this heart shaped word cloud tool to include what and who they love. It’s an interactive heart shaped word cloud tool you can add own your own text. Bring a bag of candy hearts to calls and have students select a few and create poems, dialogues or stories that include the messages on the candies. Here is a cool candy hearts science experiment for learners. Get students to create Valentine’s messages in invisible ink for their peers or use this cool idea where students create invisible messages and learn about osmosis. Students can create coded messages for peers to decode using a cypher wheel. Find the lesson plan here. Students can learn math and science by making candy. Find recipes bookmarked here. Here’s a Love Potion lesson plan pair activity I created. Students work in pairs to create a love potion and spell. After students write down the ingredients, they follow a science recipe to make a fizzy potion to drink. Create an animated Gif with Piskel. Learn the meaning behind love idioms. Here is an infographic with 12 popular ones. Write Valentine’s day cards or poems for loved ones using free web tools and apps- Magisto, Powtoons, Adobe Slate, Adobe Voice, Yakit for Kids, EduBuncee, Animoto, Canva, Fotobabble, Red Stamp, and Sincerely Ink. Students can send Valentine’s day made greetings, poems, stories, or cards to a local nursing home, children’s Cancer ward, or other organization. Click here to discover several free Valentine Day worksheets for creating cards, completing word scrambles, or creating rhymes. Create sonnets and other love poems with this the Poetry Engine, an online interactive. Create poetry with magnetic poetry. Try this virtual love poetry set. Valentine’s Math Journey is a game for children that helps with their reading and listening skills. Young learners can send a Valentine on Starfall to fictitious characters. Reasons for Buying Flowers is a great video lesson plan to get students to explore male and female stereotypes. The History Channel has videos, an infographic, and articles to help students learn about the history and commercialism of Valentine’s Day. Discover over 15 Valentine’s Day apps here. Find tons more Valentine’s Day lesson plans in my bookmarks. Discover many more activities and resources by visiting Larry Ferlazzo’s Best Sites to Learn About Valentine’s Day and Cybraryman’s Valentine’s Day Sites and Activities.